It was quite liberating when I first realized I only had a 50/50 chance of someone liking me. It doesn’t matter how much I want someone to like me (or worse, EVERYONE to like me), that decision is out of my control. and it’s perfectly ok if an individual doesn’t feel a connection with you. #1: I GET TO RELAX! When did I start putting all this pressure on myself to get people to like me? 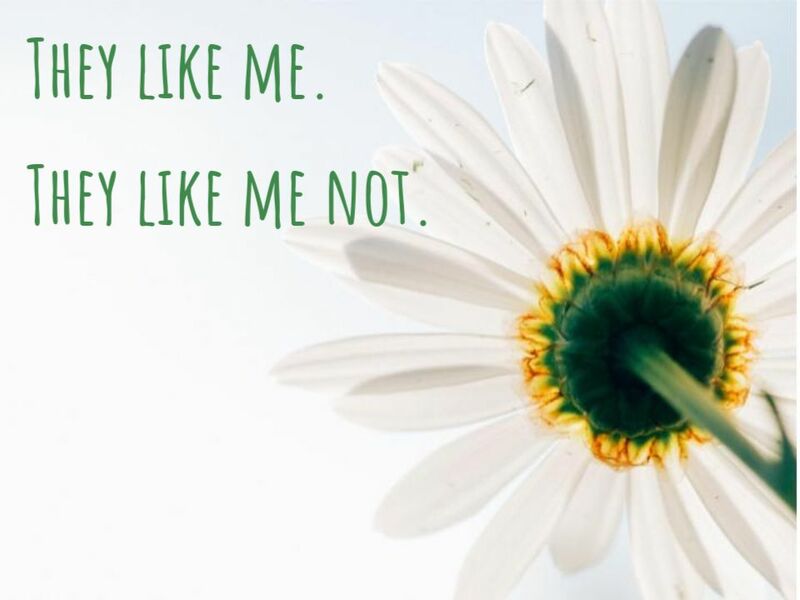 Think about that phrase for a moment … “get-people-to-like-me.” A terrible phrase. People are going to like you or they’re not. Easy-peazy. How do you stop striving to get people to like you? 1. Let them have that choice and don’t take it personally. #2: I GET TO ENJOY CONNECTION! There are two ways to connect: either you’ll “link” or you’ll “associate”. In a nutshell, it’s chemistry. Link-Connections easily work from the get-go. There was a little 4 year old girl playing with her friends, she stopped to say hello. What is that? That’s Link Connection. I remember being placed into a team while studying HR Management. We were assigned to work together on a project. I didn’t consider any of them as a friend, like I did the little 4 year old girl. But I did feel very content and comfortable and happy to have Associate Connection with each person. It’s not sustainable for you to have a strong connection with everyone you interact with. There are levels of ‘like’. When I’m engaging with our local barista, I am giving 100% of myself to that interaction. When I’m engaging with a close client, I’m giving 100% of myself to that interaction. When I’m engaging with a life-long friend, I’m giving 100% of myself to that interaction. When I’m engaging with my children, I’m giving 100% of myself to that interaction. They’re all different levels of connection, and I’m very committed to each person even though the level of “like” varies. What remains consistent and true throughout is amicability. Regardless of the depth of connection, every human receives friendliness. I can’t be all things to all people. But there’s a part of me that really wants to connect with every human. And that desire would cause me to make commitments to people that I can’t realistically deliver. Where I’m learning to not strive in the “LIKE ME, LIKE ME NOT” category, is in adjusting my lens with one word. I can be something to all people. I may not be able to commit to the barista the way I commit to my daughter. But I can commit something to every human. It may not be all of me; but it will be a part of me. And I will give that part of me, 100%. By choosing being amicable to all people, I get to be something to someone 100% of the time. ps. Mrs. Frapwell’s Pre-School is a top notch, loving, nurturing academic school for young children in the San Diego area. Annnnnd, she was my very first client when I moved to San Diego. I have such a fondness for her and her team. Very grateful to have been part of her professional journey. I respect Audreen so much. She’s an incredible woman, leader, teacher, mom, etc etc etc! A special shout out to you Audreen! If you live in the SD area and have young children, I HIGHLY recommend her preschool! !